한 평원에 해바라기가 따스한 햇빛을 받으며 서 있다. 어느 날 땅에서 거대한 기둥이 솟아 나와 빛을 가린다. 이 때 해발아기들이 눈을 뜨며 꽃 밖으로 튀어나간다. 그리고는 붉은 새로 변해 하늘로 올라가서 돌의 기둥으로 떨어진다. 마침내 마지막 남은 새가 떨어지고 그 자리에 해바라기가 다시 피어난다. There is a field filled with lots of Sunflowers in bloom. But rising from the ground, huge buildings begin to screen them from the sunshine. Then they absorb all flowers. Time goes by, a Red Bird appears in the sky and looks down the earth gently and then plunges into it. 빛을 보는 과정을 상징화한 작품이다. 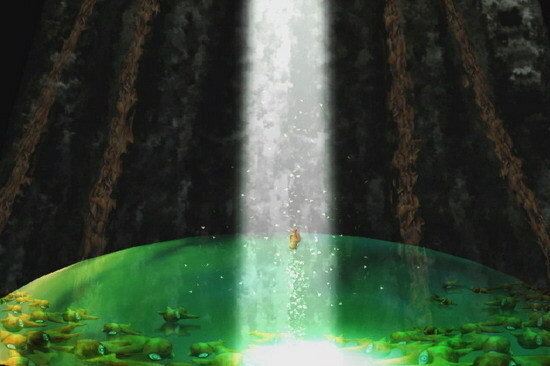 and the Nature and the way to overcome the problems through symbolization in this animation. 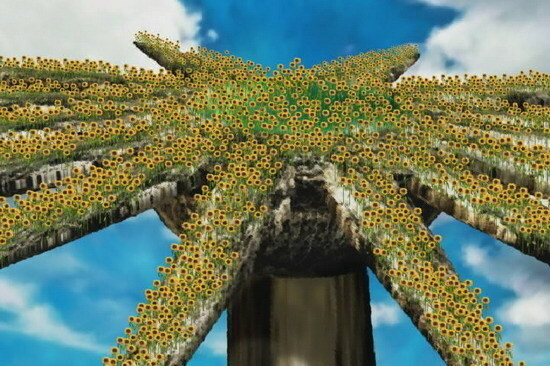 Sunflower symbolize an organization which consist of individuals, so its seeds represent individuals. A Red Bird is a person who has been awakened, changed, and is pursuing and moving towards change.